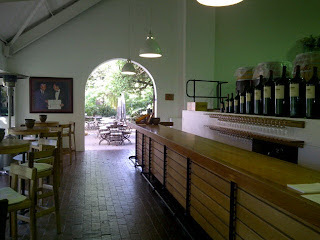 Today I was in the area so I decided to visit Rust en Vrede for a second time. It was a while back when I first visited the place, so thought it was time to check it out again. 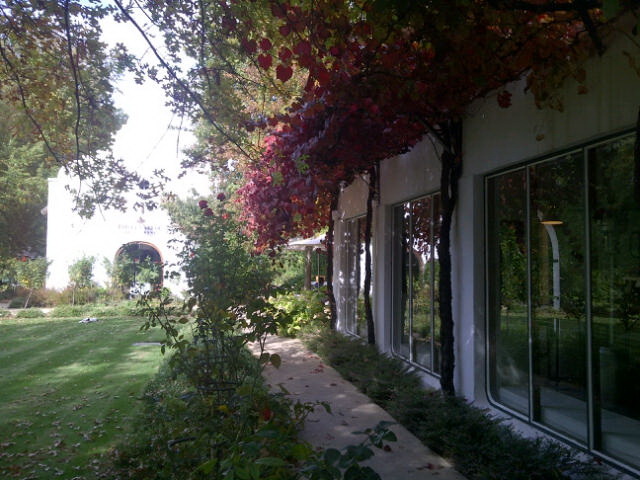 Especially after having visited plenty of other wineries since last visiting this wine estate. The place was not so busy. I think the Cheese Festival had an impact on this. The service here was very pleasant. The staff were friendly, informative and pleasant. Unfortunately not all the wine was available for tasting so I tasted what was available which was a total of four wines. The tasting started with the Shiraz 2011 at R220 a bottle. It had lovely berry and spicy notes on the nose, it was soft, smooth, but a little dry on the finish. I liked this wine. 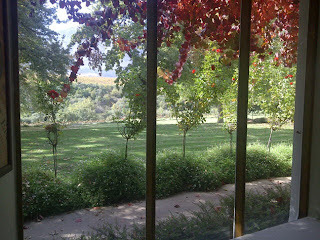 Next was the Cabernet Sauvignon 2011 at R220 a bottle. It initially smelled like chocolate and caramel - yum!! On the 2nd whiff I got berry smells and a bit of cherry. This wine also had a dry finish to it. It was a light and soft wine. Pleasant. I liked it. The Estate 2010 at R390 was next on the list. This is a blend of 10% Merlot, 30% Shiraz and 60% Cabernet Sauvignon. This was a soft wine, nicely balanced. It had berry on the nose and was lighter than the other two wines. This wine was pleasant and easy drinking. It was nice. 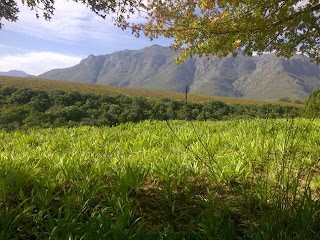 The Single Vineyard Syrah 2010 is sold out at R850 a bottle. The 2011 will be released in December. They only make 1200 bottles of this wine. I have had the pleasure of enjoying a bottle of the 2009 Syrah last year in April with friends in the Karoo; we decantered it, drank it beside a fireplace, and it was stunning!! I fell in love with that wine!!! It was actually this wine which made me decide to visit the estate again. I wanted to see if the wine was as good as I remember it to be. I would love to try this wine again. I will visit the estate again just to try this wine!! The last wine I tried was the 1694 Classification 2008 at R1200 a bottle. It is 60% Syrah, 40% Cabernet Sauvignon. It initially had a sharp alcohol finish to it. However, on the second sip I enjoyed the lovely flavours it had to offer and I loved how smooth it was. They only make 3600 bottles of this wine. I was later told that the Single Vineyard Cabernet Sauvignon will be released in July 2013. Overall the wines were nice. Sadly, nothing wowed me. Which considering the price and the name of the place, I was expecting more. The service was pleasant. Ambience was ok. I have to say, the music sounded like I was in a carnival and not in a happy way. I understand why they chose that music as they want to portray a classical, historical place. But it didn't do much for me tasting wine by myself. I am sure if you visit this place with friends you wouldn't be quiet enough to hear the music. A tasting here is R30 for 3 wines and R40 for 4 wines (which includes the 1694 wine). Would I recommend people visit this place? Well honestly, if you only have a day to visit wine estates, no. I think this place is over-rated. Yes it has nice views, good service and nice wine. But I wasn't wowed by anything. 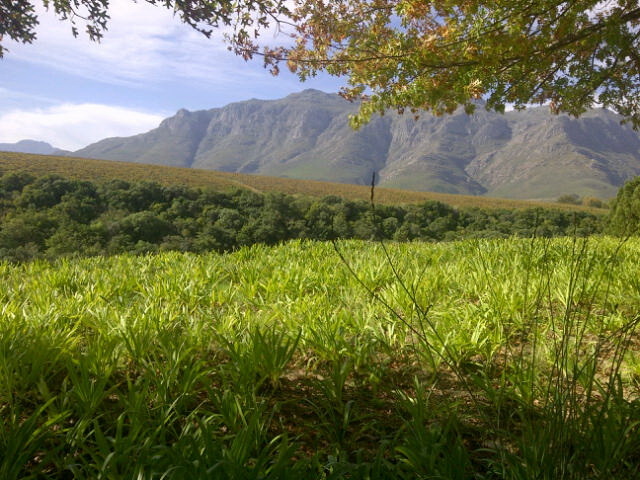 Perhaps if you plan to visit this estate in December 2013 or later, then you will at least get to try the amazing Syrah. Then it might just change the whole experience. I should also mention they have a lovely outdoor seating area. It also enhances the experience here.